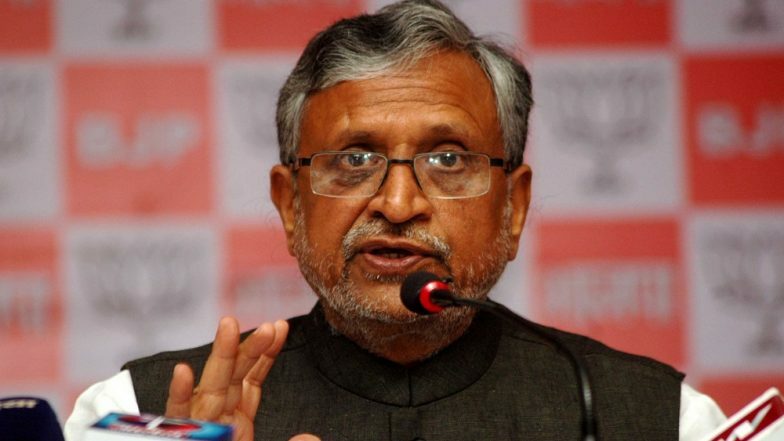 Patna, April 16: Bihar Deputy Chief Minister Sushil Kumar Modi on Tuesday said that he will file a defamation case against Congress President Rahul Gandhi for his reported statement that "all thieves have Modi in their surnames". "I have decided to file a defamation case against Rahul Gandhi for calling all people with the Modi surname as thieves. I will file it soon in a Patna court," the senior Bharatiya Janata Party leader told the media. "It is not only objectionable, but it defames and hurts the sentiments of everyone who has the Modi surname." He also objected to Gandhi's 'chowkidar chor hai' jibe. Sushil Modi is one of the star campaigners of the BJP and NDA in Bihar and has been addressing election meetings in different parliamentary constituencies daily. Rahul Gandhi, Randeep Surjewala Issued Summons by Gujarat Court in ADCB Criminal Defamation Case.